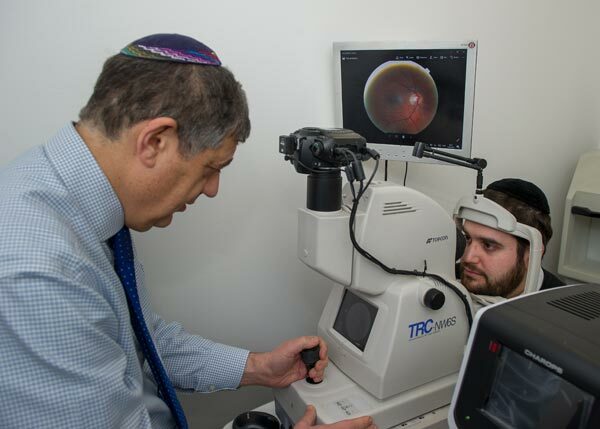 At Silverman Opticians in London, we have a digital fundus camera for diabetic retinal screening. Patients who would otherwise need to attend a hospital eye clinic for diabetic retinopathy screening can be seen here, privately, at their convenience. Diabetic retinopathy is one of the commonest causes of blindness in the UK. At any one time, up to 10% of people with diabetes will have retinopathy requiring medical follow-up or treatment. 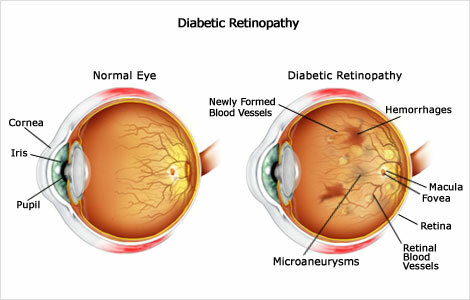 Diabetes can also affect other organs and the presence and severity of retinopathy may be an indicator of increased risk of other complications of diabetes. Eye drops may be instilled to dilate the pupils and enable a thorough retinal examination. This may mean that vision is blurred for the rest of the day and it is not advisable to drive or operate machinery. Patients are recommended to bring sunglasses because bright sunlight may cause discomfort.